Due to heavy flows from the recent rainfall, the Ellijay-Gilmer County Wastewater Treatment Plant (WWTP) experienced flows that were too high for optimal plant performance which caused discharge of approximately 671,600 Gallons of partially treated wastewater into the Coosawattee River. The Georgia Environmental Protection Division (EPD) has been notified and Ellijay-Gilmer County Water & Sewerage Authority (Authority) employees are following EPD protocol for such a discharge. The discharge occurred at the WWTP effluent flume located at 64 Merk Davis Drive; a sign has been placed to notify the public of the site of the discharge. 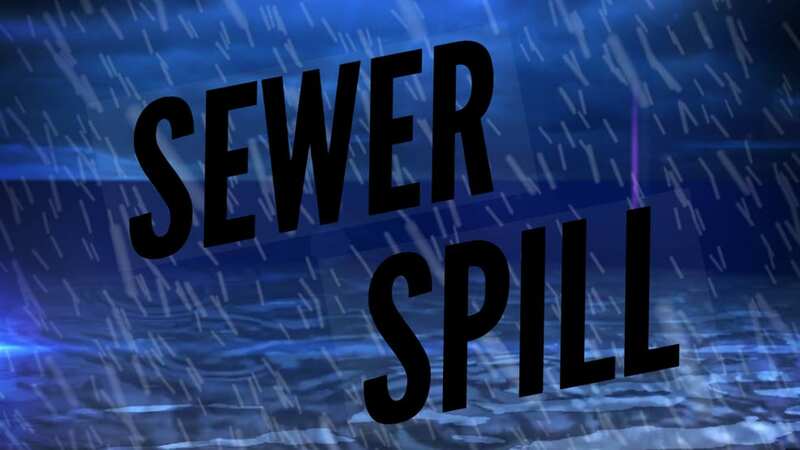 If you have any questions concerning this issue, please contact the Ellijay-Gilmer County Water & Sewerage Authority at (706) 276-2202, or the Wastewater Treatment Plant at (706) 635-7930. ELLIJAY, Ga. – The Gilmer County Board of Commissioners August meeting saw an unexpected addition to its agenda as citizens from the Rainbow Lake area met to ask the board to stop the clear cutting of over 500 acres of Timber in the area. “Devastation,” the word kept arising as citizen after citizen walked to the podium asking the Commissioners to stop the process, or somehow change it to selective cutting. Joe Paprocki offered a structured argument against the clear-cut saying there are four main areas majorly affected in the county by this process. Paprocki said that he has heard people say its private property and there is nothing they can do, but that “800 acres” of devastation, an area large enough to land a 747 commercial airplane, affects the public and is, therefore, a public issue. One citizen called the area a “war-zone” affecting the lives of the animals she keeps on a farm in the area, another referred to the endangered species in the area as well as the threat of invasive species cropping up after the clear-cut. Noting the three major creeks that feed into Rainbow Lake, Sisson said the creeks would go red with mud before they feed that into the lake as a whole. He noted 500-foot buffers would not stop the devastation, they would not hold back the destruction of the area. Everyone who spoke either opposed the clear-cut or asked to change to selective cut except one. Richie Mullins of the Georgia Forestry Commission offered what basically became a crash course in the Commission’s water and forest quality assurance. Walking those present through the logging process and his part, as a Water Quality Specialist, in continuing to maintain the creeks’ and lake’s clarity in the process of and the aftermath of the project. Calling himself the “Erosion Police,” Mullins assured citizens that he was the area’s biggest advocate for maintaining the lake and the water. Even he never fully said the clear-cut was a good thing, instead trying to assure citizens that he would monitor the project and address their concerns. Even he himself told a resident that he would prefer a selective cut. He went on to explain that while he wholeheartedly agreed with citizens about avoiding the clear-cut at all costs, he could not find any legal ways to force the issue. Pausing a moment, he said that if anyone had a legal argument he wanted it so that he could use it. As he stated, in the end, it is their land and they can do it as long as they follow the rules. As it stands with citizens continuing to look for answers to the project, it seems that they will be keeping a close eye on the logging operation alongside the Forestry Commission to maintain the area after the project completes. For the most part, north Georgia did not see extreme flooding as a result of hurricane Irma as did other areas of the state, but it does bring to mind the importance of well safety. Wells that were overtopped by flood waters need to be flushed and tested for bacteria because of the potential danger of contaminants being washed into the well. UGA Extension Water Resource Management and Policy Specialist Gary Hawkins recommends pumping and flushing a minimum of 2 or 3 times the well volume to clear the system. This water should be discarded from an outside faucet and not from an inside faucet to bypass the home’s septic tank. After pumping the water, the well should be shock chlorinated then the well should be flushed again until there is no smell of chlorine bleach and, like before, the flushing step should be done through an outdoor faucet to bypass the septic system. This highly chlorinated water, if discharged to the septic tank, could cause problems with the bacterial colonies in the septic tank. After the well is shock-chlorinated, flushed and the chlorine smell is gone (about two weeks), the well water should be tested for bacteria. Families can get their well water tested using their local county UGA Extension office. 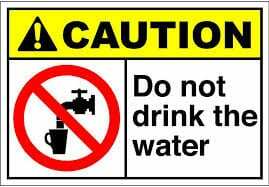 Until the test for bacteria comes back, Hawkins strongly suggests that water for cooking or drinking be boiled before consumption. If the well contains bacteria the report will explain how to treat the well. To calculate the volume of water that should be pumped from a well, use the following calculation. Most of the well casings in this area are 6 inches so the factor for that size is 1.47. That means that there are 1.47 gallons of water for every foot in depth. Multiply the depth of water in the well by this factor to determine how much water is in the well. If your casing is not 6 inches, contact me in the Gilmer County UGA Extension office and we can get the right factor. There are several methods to determine how much water you have flushed out, but the one that I use is to calculate how long it takes to fill a 5 gallon bucket. Divide that time by 5 to get the output per minute. Using this figure you can determine how many minutes you need to run the water to flush the number of gallons of water that was determined in the previous calculation. A couple of methods can be used to determine the depth of water in a well. If you can see the water in the well, lower a heavy object tied to a string down the well and measure the length of the string until you see the object touch the water. In a deep well, lower a heavy object like above until you hear the object hit the water and measure the length of string. If you cannot see the object hit the water, another way (but less accurate) is to drop a small stone into the well and count or time the seconds it takes for the stone to hit the water (you will have to listen closely for this.) Multiply the number of seconds by 32.2 and that will let you know how far the water is below the surface. Knowing the depth of the well and the depth from surface, subtract the two to get the height of the water column for calculating the volume of water in the well. An example of this calculation is if you have a well that is 300 feet deep and the water level is 25 feet from the surface, subtracting 25 from 300 equals 275 which means you have 275 feet of water in the well. Multiply 275 by 1.47 to get the gallons in the well. That figure is 404.25 gallons. Using a factor of 3 pints per 100 gallons, you would need to apply a little over 12 pints of chlorine bleach in the well. 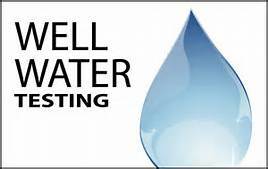 If you have any questions about this process or for more information on well water testing, contact me at the Gilmer County UGA Extension office. Lengthy meetings were held by the Gilmer County Board of Commissioners last week with both their Work Session and Regular Meeting. Votes split and the Commissioners sat as several issues came under fire during this month’s meetings. However, tension mounted as Chairman Charlie Paris called for comments in the regular meeting. With no one to step forth in favor of the track, Chairman Paris noted he had not received this much communication over a singular issue in his service as chairman, and he had not received one message in favor of the track. The Planning & Zoning Commission reported they had denied the request in their meeting, and the Commissioners followed the same as they unanimously denied the request. Later in the meeting, the Commissioners went a step further to enact a moratorium on motocross tracks in the county. This was put in place as the county is moving into completely overhauling its land use permits in the coming months. Citizens asked how to stay involved with the changes and to put their own thoughts into the changes, to which Chairman Paris offered is email to continue the information exchange with those citizens and any who wanted to join in. Another issue rose in tension as the County Commissioners began a process to regulate river usage in the unincorporated parts of the County, which is the county outside of city limits. Much of the resistance to this regualation came from Woody Janssen and Phillip Griffith, both of the Cartecay River Experience, who spoke on how to enforce the regulation. They also stated that with enforcement, they believe the laws are already in place with trespassing and public drunkenness. Going even further into issues of trash on the river, Janssen said much of the trash issues in the river they already deal with themselves as they collected several thousands of pounds of trash in last years clean-up. Post Commissioner Dallas Miller stated the Commissioners “have an issue here… a Conundrum” as he listened to the resistance to the regulation. With issues arising, the allusion was made about a few bad apples ruining the situation. Soon after, a motion and vote came to adopt the first reader, which will send this issue back to next month’s meeting for final consideration as well as a public hearing to further delve into the public’s concerns. Not all votes came in unanimously, however. Post Commissioner Dallas Miller offered with the Dissenting Vote for a zoning request for a wedding venue, citing previous zoning issues where he also dissented due to his belief that the conditional use permits requested are not permitted under the ordinance. Another dissension from Miller came on the County’s “Alchoholic Beverages” section of the code. An expected vote by many due to a well documented opposition by Miller to the changes. However, Miller still states that though he votes no on certain issues in the county, he will continue to support the choices made by the Board as a whole. The vote went 2-1 in favor of the First Reader. Another largely debated issue also came to a close last week as the County voted for a final adoption of their Amendments for Collection of Tax on Harvested Timber. No discussion came in the regular meeting after all the work and changes previously put into this change. The Board is also moving forward after approving the First Reader for changes in how the Commissioners dispose of property. You will recall recent reports on this change to focus on removing the requirement to advertise every individual piece of equipment to include the serial numbers of the equipment to be sold. One citizen spoke in this months meeting to ask if this included county owned land, to which Chairman Paris assured him it was for equipment and items owned by the county and could not include land. One final note to the meeting came with the Commissioner’s re-appointment of Billy Rowe to the Ellijay-Gilmer Water Sewer Authority. The Board also considered Jerry Davis who offered his services, but stated he was already on a county board. Rowe is currently serving on the Water and Sewer Board and it is his term coming to an end. With the approval he is now to be reappointed to the position by the Commissioners. For more information check out the two videos below to watch the May Work Session and Regular Meeting for the Board of Commissioners.